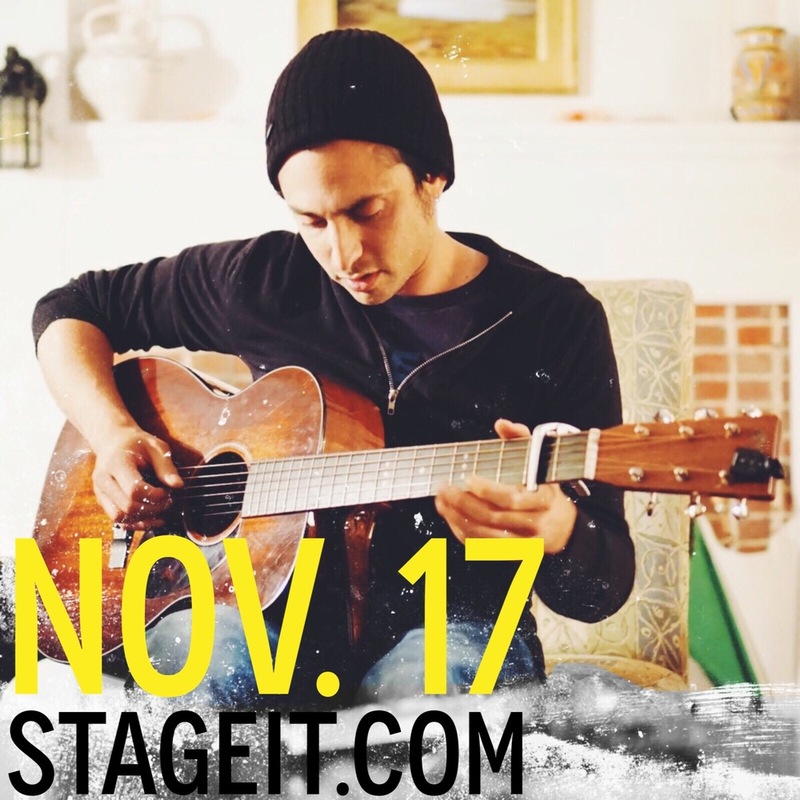 Join Keaton for a live online concert on Stageit.com on Tuesday, November 17th! Tickets are "pay what you can." Watch from anywhere in the world on your computer, smartphone or tablet. 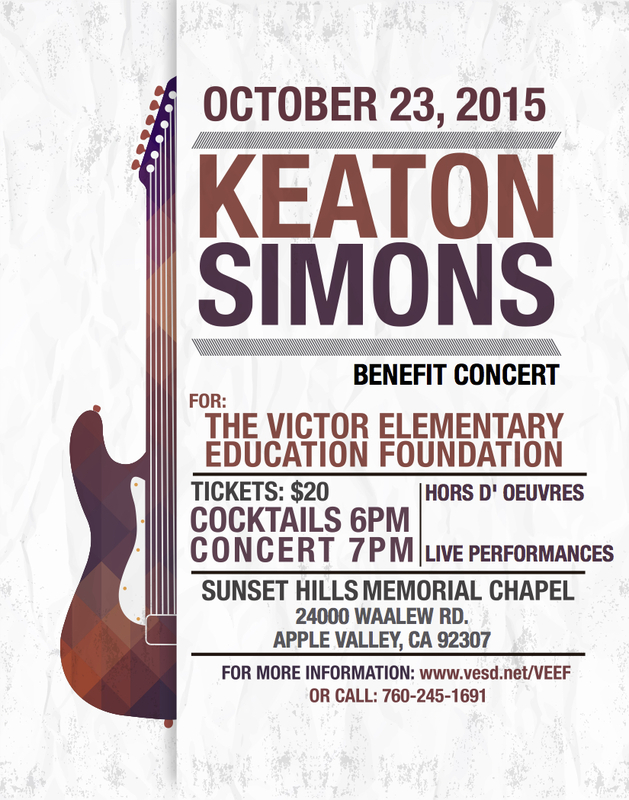 Keaton will perform a benefit concert for The Victor Elementary Education Foundation in Apple Valley, CA on Friday, October 23rd. The event will take place at the Sunset Hills Memorial Chapel. Tickets are now on sale. The past couple of weeks have been such a blast! I’ve had the honor of accompanying Chris Cornell on some of his appearances to promote his new album, Higher Truth, out now. We performed Chris’ single, “Nearly Forgot My Broken Heart,” on The Tonight Show Starring Jimmy Fallon! If you missed it, you can watch the video here. The Summer Finale of SUITS featured Keaton's new song, "When I Go," in an epic way! You can grab the song on iTunes. It's also available to stream on YouTube. Keaton heads back out on tour with good friend Tony Lucca to play guitar on his Paint A Picture Tour. Catch them in a city near you! For more info and tickets please check out the tour date page! Tickets are now on sale for Pat McGee's annual Down The Hatch music festival in the Outer Banks of North Carolina featuring Keaton Simons, Gareth Asher, Stephen Kellogg, Michael Tolcher and more! For more info and to grab your tickets, visit https://dthobx2015.eventbrite.com/. Keaton is hitting the road this week for his Spring Tour across the US with a Limited Edition CD in hand that he personally packaged (see the photo below). There are 15 songs on this album, some brand new and some from back in the day that were never released. Only 300 copies were made and they’re available exclusively on this tour until they run out! If he's not hitting up your city, send a friend to a show to grab one, or try to snag a copy as a top supporter on his February 24th Stageit.com show. Keaton returns to San Diego, CA on Saturday, January 17th to perform at Lestat's, an all ages venues. Opening the night are Mean Mary and Tacky Little Hatshop at 9pm. Keaton headlines, performing around 10:00pm.